In today’s increasingly regulated environment TMS Europe provides temperature mapping and validation services that meet and exceed the requirements set by many regulatory bodies. We provide a flexible on-site calibration services that is tailored to meet the needs of our customers with the aim of establishing a long term partnership. Hospitals (NHS & Private), Pharmacy departments, Pathology departments & Blood Banks. 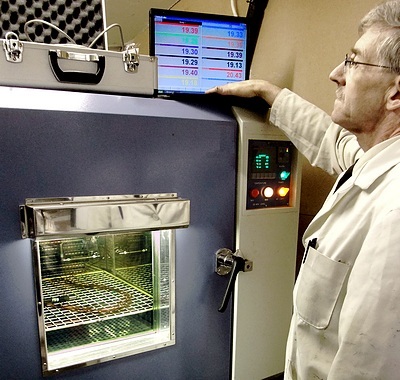 Our ISO 17025 UKAS Accreditation for temperature mapping allows us to support customers to meet the requirements of regulatory bodies such as the MHRA, FDA an IMB and to meet the requirements of ISO 15189:2012 ‘Medical Laboratories – Requirements for Quality and Competence’. In addition to purely thermal surveys, TMS Europe can also perform temperature and relative humidity mapping validation for many applications under our ISO 17025 UKAS accreditation.